We know four of the five online tournament champions that will be travelling to Punta Cana together in November after winning their way to the Caribbean in online tournaments. A fifth member just won their trip to the CPT Punta Cana on Sunday and will be introduced here later this week (all we know today is it's a 29 year old guy named Phil). So far the group includes: 32 year old Austrian poker pro, Daniel Montagnolli; Neil Slade, a builder and recreational poker player from Hampshire UK; Derek Scallon, a Chicago poker pro and film producer, and Steven Loney, a businessman who plays poker for fun. Daniel recently quit his job to become a full-time poker player beginning September 1. He was in the Caribbean last fall, too, when he came third in the CPT/WPT in St Maarten and won $1600. His biggest win to date was the No Limit Hold’em Championship Event at the 2007 Legends of Poker in Los Angeles where he came 25th and won $25,150. Montagnolli is listed on the Hendon Mob’s United States All Time Money List. 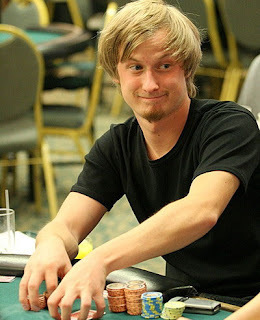 He’s been active at PokerStrategy.com where he’s known as Monze. Daniel recently shared his thoughts on his satellite tournament win on the Living the Dream poker blog. Neal, a 44 year old builder and father of two from Hampshire, UK, plays online poker a couple of times a week trying to satellite into live events. He’s won seats at WSOP events, WPT, UKIPT and GPS this way. His goal is to play an EPT tournament. 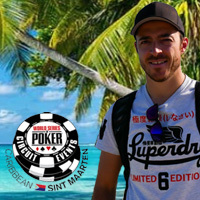 This will be his second live poker tournament in Dominican Republic -- he won a seat at the CPT Punta Cana two years ago and came in 6th, winning $9000. Derek Scallon, a professional poker player from Chicago, produced a documentary on online poker called Bet Raise Fold in 2013. He placed 122nd in the $10K No Limit Texas Hold’em World Championship at the 2006 WSOP 2006 and won $ 51,129. Steven Loney, a toy business entrepreneur, just plays poker for fun but will be seated at the Main Event in Punta Cana with the rest of the Team thanks to some lucky cards and some smart moves at the online satellite he won in May. Steven wrote about that experience recently here on Living the Dream.